Vacant parcel in prime location was recently re-zoned & approved for a 12 unit; 3 story apartment complex-all units 2 beds/2 baths. 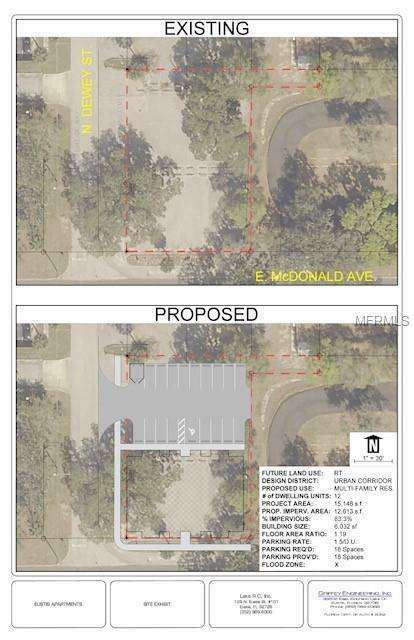 Project qualifies for City of Eustis Downtown Development Credits. Sale to include land,plans & approvals. Call for more details!